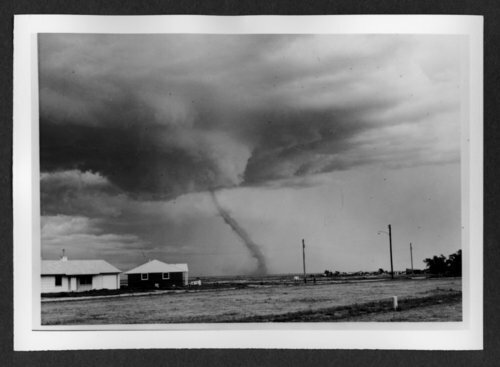 Scenes of Sherman County, Kansas - Tornado northeast of Goodland, June 9, 1960. Photograph by Mr. and Mrs. M.C. Parker.